When it comes to winning, everyone is looking for that extra edge. You could take up ballet to improve your balance or yoga to heighten your endurance. You could switch to a vegan diet, take up Sudoku or wear a lucky rabbit’s foot. Different teams will trial different ideas as more out-of-the-box thinking gets beta tested across a range of sports. But is there a magic formula when it comes to the mentality of the team? We sought out answers from those in women’s soccer who seem to have figured it out. “I relate it back to the USA team and the way they puff their chests out and say, ‘We’re the best in the world.’ That’s the kind of arrogance I want from my team.” These are the words of England women’s national team boss Phil Neville during his first meeting with the press after his appointment in January 2018. They could not have been more different from the sentiment routinely trotted out by Spain coach Jorge Vilda. Where Neville looks for arrogance, Vilda asks for humility and respect. When the 37-year-old Vilda talked about Spain’s chances at the upcoming World Cup following a friendly loss to the United States, he said the team was looking to pull off a surprise. Neither the media nor fans should expect great things from Spain, he indicated, but if they play well, maybe they could be a happy surprise like Euro 2017 semifinalists, Austria. 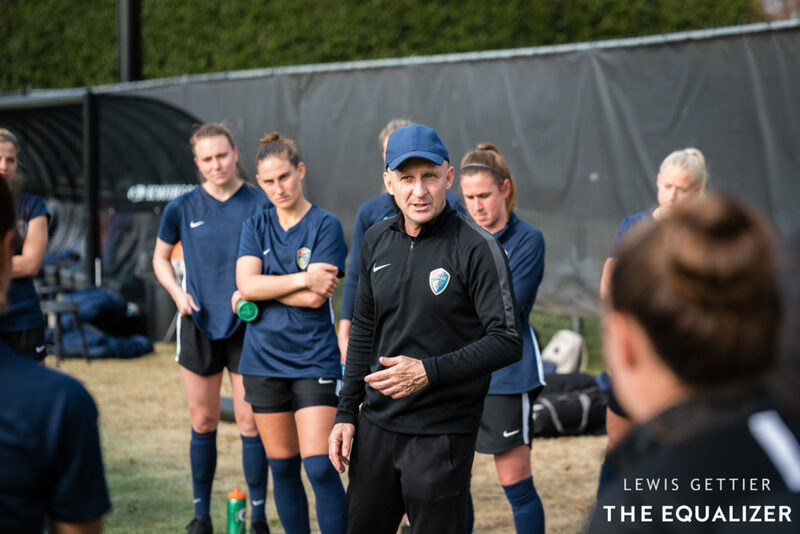 Where Vilda looks to downplay his team, to stop fans and media from getting ahead of themselves, Paul Riley’s steadfast assertions that the North Carolina Courage are still the underdogs is solely for the benefit of his charges. Written off before the 2016 NWSL season started, Riley’s Western New York Flash were instilled with a belief that they’d have to work harder than every other team in the National Women’s Soccer League as the runts of America’s top flight.